* The Wednesday Splitsville Reception is offsite, in the heart of Disney Springs, and is a walkable distance from the conference venue. Dinner, drinks, and games are included at no additional cost to attendees. Authorizer Bootcamp (Program is full) •Heather Wendling (NACSA) •Alyssa Hopkins (Massachusetts Department of Elementary and Secondary Education) •David Frank (New York State Education Department) •Kelli Peterson (Orleans Parish School Board) NACSA’s “New Authorizer Bootcamp” pre-conference session is designed primarily for individuals who have been working in an authorizing office for less than one year but would also be beneficial for those looking to gain a high-level understanding of authorizing best practices beyond their specific role. This session will be engaging, interactive and collaborative; conveying historical context around the charter movement, discussing essential practices of authorizing, orienting all participants to core resources and tools to support their work, and offering a unique opportunity to network with industry experts, NACSA staff, and other new and novice authorizers. New Authorizer Bootcamp will provide a thorough grounding in the fundamentals of quality authorizing practices in order to maximize each participant’s Conference experience. NACSA staff will work with individuals to identify appropriate follow up sessions over the course of the week based on role, interest and other contextual factors. Florida Principles & Standards Training: "Best Practices in Fiscal Oversight for Florida Sponsors" (Hosted by the Florida Department of Education) Chakana Fowler-Independent Consultant Confused about fiscal oversight? Join the National Association of Charter School Authorizers and local school finance expert, Chakana Fowler, for an in-depth Fiscal Oversight Workshop tailored just for Florida district authorizers. The workshop will focus on sponsor obligations as well as best practices for financial oversight of your portfolio. We’ll also cover more practical issues such as how to identify indicators of financial health and distress. While our content will be specific to Florida authorizers, we welcome all authorizers to attend. Applicant Capacity Interviews 2.0 •Erin Reddy-NACSA •Thomas Lambert-Orleans Parish School Board •Morgan Felts-Georgia State Charter Schools Commission Interviews are a critical stage of any charter school application process. It is the time for authorizers to meet with applicant teams face-to-face, in real time, to assess their professional capacity to operate a high-quality school. During this session, hear from authorizers who are innovating beyond a static "question and answer" interview format, all while maintaining interview best practices. Governing Board Oversight: Are You Using Data? •Marci Cornell-Fiest-BoardOn Track •Jasmine Burditt-Indianapolis Mayor’s Office •Orlando Castellon-Central Michigan University Center for Charter Schools Here's an interesting paradigm: A charter is granted to a volunteer board but the authorizer must hold a group of busy volunteers accountable for stewarding these multimillion-dollar organizations. Join this lively, interactive session to hear a variety of perspectives on: what data authorizers currently collect about the governance of their portfolio; what data is proving to be the useful; lessons learned in interacting with a wide variety of boards; and a bold look at a radical new way of completing this vital authorizing task. Participants will leave with concrete tools and actionable steps. Charter School Autonomy and Smart Regulation • Rick Hess-American Enterprise Institute • Jana Wilcox Lavin-Opportunity 180 • Beth Topoluk-Friends of Education • Greg Richmond-NACSA Autonomy is a core principle at the heart of charter schooling, and we know authorizers have an important role in ensuring schools have the flexibility they need to thrive. But as a sector, we know very little about what authorizers are doing to fulfil this critical obligation to schools and communities. What are authorizers doing to preserve and expand charter school autonomy? Where do authorizers struggle to protect school autonomy and ensure appropriate accountability? Are there disconnects between what schools want and what authorizers can do? Are there factors outside of authorizing impacting charter school autonomy? Come participate in a panel discussion exploring autonomy-related challenges, tensions, and solutions. Opportunities and Scars: Lessons in Closing Virtual Charter Schools •Jamie Garwood-Ball State University •Mark Modrcin-Nevada State Public Charter School Authority •M. Karega Rausch-NACSA •Hunter Schimpff-South Carolina Public Charter School District It has been said that experience is the best teacher. While closing any school is complicated, difficult, fraught with challenges, and politicized, closing a virtual school heightens all of these complexities and adds new issues to consider. Come hear from, and dialogue with, three fellow authorizers that have recently closed failing virtual schools, and gain valuable lessons from their experience. The Schoolhouse Problem: The Role of the Authorizer in Overcoming Facility Challenges • Sean Gill-Center for Reinventing Public Education • Phyllis Williams-EPR Properties • Patrick Beausoleil- Highmark School Development Authorizers frequently cite facilities as the primary barrier to successful charter school launch and growth. This session examines the ideal world of charter school facilities, and what needs to happen to improve the current environment. Participants have the opportunity to explore facility funding options, understand best practices, and become an intelligent resource for schools in their portfolio. NACSA's Quality Practice Project Focus on Leadership: Communication, Evaluation, and a Harsh Mirror-Using Leadership to Drive Performance • Rashida Young-DC Public Charter School Board • Susie Miller Carello-SUNY Charter School Institute Good authorizers are dedicated to a mission of giving more children access to better schools, and transparency is one strategy to making that happen. But what does transparency look like on a day-to-day basis? Hear how two authorizers have embedded strategies in all facets of their work to ensure that school leaders and their boards receive consistent communication about the performance and status of their schools. Attendees will walk away with strategies to create or improve transparency with schools, in order to be leaders in the field and ensure more great seats for children. Tips on Identifying Fraudulent Activity from a USDOE Special Agent •Special Agent Jason Williams-U.S. Department of Education Join Assistant Special Agent Jason M. Williams, a representative from the Office of Inspector General, for lunch and conversation about his work (and how it can inform yours!) The OIG is an independent entity within the U.S. Department of Education responsible for identifying fraud, waste, abuse, and criminal activity involving ED funds, programs, and operations. Assistant Special Agent Williams will provide an overview of his role, charter operator cases he has investigated, and red flags authorizers can look out for to prevent misuse of public funds. Legitimate Community Input in the Authorizing Process •Alex Medler-National Charter School Resource Center •Corey Loomis-Riverside County Office of Education •Andy Franko-Falcon School District 49 •Mackenzie Khan-Aurora Public Schools •Tom McMillen-Jefferson County School District •Sonia Vázquez-School District of Osceola County" How should district authorizers think about “community support” for a proposed charter school? Should community support be required, as a way to avoid schools that parachute into communities they don’t understand? Who speaks for “community?” Five district authorizers will discuss their experiences navigating community input issues through several lenses (legal, political, and market-share), then the group will break into small groups to develop solutions related to the examples and their own contexts. The Power of Transparent Authorizing: How to Support Schools that are Struggling *David Frank-New York State Education Department •Shenita Johnson-Illinois State Charter School Commission What happens when schools don't meet the promise of their charter? While all authorizers have tools at their disposal to offer support, closure tends to be the default option. Through a case study, this session focuses on what authorizers can do before closure: transparency, proactive oversight, and using accountability as a tool are just some of the options authorizers have when a school is not living up to expectations. Policy Challenges and Solutions Associated with Authorizing Charter High Schools Serving Opportunity Youth •Leslie Talbot-Talbot Consulting •Susie Miller Carello-SUNY Charter School Institute •Barbara Zeile-Central Michigan University Center for Charter Schools A number of states have begun to authorize high schools that predominantly serve opportunity youth (those off-track to graduate within four years based on age and credit attainment). Many authorizers lack augmented accountability measures specific to alternative education high schools. Hear from authorizers currently exploring this work as they provide a picture of the current landscape of state and authorizer policies regarding alternative charter high schools. Participants will engage in small group working discussions designed to help authorizers establish criteria for: a) defining the alternative charter high school student population; b) proposing augmented accountability measures appropriate for over-age and under-credited youth; c) identifying policy challenges and opportunities associated with alternative education accountability; and d) generating ideas for how to tackle these obstacles within their own portfolios. Governing for Growth: Authorizing Practices to Support Growing and Expanding Charter Schools and Networks •Kathryn Mullen Upton-The Thomas B. Fordham Foundation •Marci Cornell-Feist- BoardOn Track The importance of a charter school board cannot be ignored. Authorizers need to monitor the establishment of strong governance from the start, and ensure the board evolves appropriately over time. During this session, experts will provide concrete examples of governing for growth and highlight best practices on a school's journey from $3M to $300M. We'll also discuss some of the most pressing questions authorizers grapple with related to governance, while providing practical tips authorizers can easily apply after returning to their office. School Safety •Carrie Gee-SUNY Charter School Institute •Stephanie Olsen-Volunteers of America Minnesota •Karega Rausch-NACSA Explore best practices in oversight of school safety and preparedness that authorizers should know and implement. Participants will engage in a discussion about the authorizer’s role in ensuring student safety while upholding school autonomy. Authorizers and Charter School Associations: Creating and Maintaining a Strong Partnership •Alison Bagg-Massachusetts Department of Elementary and Secondary Education •Erica Brown-Massachusetts Charter Public School Association Authorizers should develop a clearly defined, effective, and collaborative partnership with their charter school association. This session will present guidelines to communicate and pressure test policy, share information, provide multiple perspectives on authorizer practices and still maintain appropriate levels of separation. (DOUBLE BLOCK WORKSHOP) Equity and Excellence: Empowering Authorizers to Effectively Serve Everybody, Including Students with Disabilities and English Learners •Lauren Morando Rhim-National Center for Special Education in Charter Schools •Paul O'Neill-National Center for Special Education in Charter Schools •Brenda Santiago-Broward County Public Schools •Hannah Cousino- DC Public Charter School Board As public schools, charter schools have a mandate to serve all students well. To ensure that charters are equitable in their admissions and have the capacity to effectively serve special populations of students, authorizers need access to relevant expertise and practical tools. This session will provide both. Using a workshop format, special education and EL experts will lead participants through challenging scenarios using newly developed tools tailored for authorizers. Choices, Not Just Choice Nora Flood- Wend Ventures Patrick Dobard-New Schools for New Orleans Kristin Grimme-The Mind Trust For years in the charter school world we have talked about choice and focused on replicating high performing but monolithic types of schools. Parents and communities want "choices" not just "choice." Join us for a discussion around rethinking the purpose of education to meet many goals and needs of children. Authorizer Shopping: Preparation and Prevention •Lyria Boast-Public Impact •Hunter Schimpf-South Carolina Public Charter School District •Jamie Garwood-Ball State University How do you feel about a school in your portfolio going to another authorizer? Does your answer change if that school is failing? Do you think a previously underperforming school can become a strong school under your authorization? How prepared are you to evaluate competing claims made by schools seeking to stay open vs. authorizers seeking to close that school? In this session participants will participate in and observe a mock authorizer shopping panel, hear from authorizers that have recently had experience with shopping, and learn about the most pressing factors authorizers must consider to prevent inappropriate shopping from occurring. NACSA's Quality Practice Project: Focus on Professional Judgment Moving Beyond Box Checking: Balancing Compliance With Accountability •Kathryn Mullen Upton-Thomas B. Fordham Foundation The balance between autonomy and accountability is tough to strike, particularly when what's on paper doesn't tell the whole story about a charter school. Authorizing is not always black and white. In this session, staff from the Thomas B. Fordham Foundation will share how they have moved beyond box checking to foster a portfolio of high-performing charter schools. Attendees will walk away from this session with ideas on how to exercise strong judgment to lead to higher results for their portfolios. Active Ingredients: Expanding the Definition of School Quality •Susie Miller Carello-SUNY Charter Schools Institute •Jeff Wasbes-SUNY Charter Schools Institute •Vanessa Threatte-SUNY Charter Schools Institute •Julie Fisher-NYC Autism Charter School •Sonia Vazquez-School District of Osceola County What do you do with important stories that lack evidence during critical decisions? The SUNY Charter Schools Institute has been exploring the role, use, and implications of additional measures of student success that are not always reflected in traditional accountability systems. This session will preview unpublished work and allow participants to engage in discussion and consider the content within the context of their own authorizer priorities. Building and Managing Relationships with City/State Agencies and Stakeholders •Audrey Williams-DC Public Charter School Board •Joseph Escobedo-Albuquerque Public Schools Part of being a strong authorizer is advocating for your schools and the charter network in your city or state. In order to "have a seat at the table," during important discussions that can affect your schools, it is important to have positive and impactful relationships with key city/state agencies and stakeholders. After listening to the experiences of our speakers, authorizers of all types will be able to describe the importance of relationship-building and develop plans for how they can begin that process in their own settings. Development of Strategic Priorities for New Charter Applications •Kelli Peterson-Orleans Parish School Board •Alyssa Hopkins-Massachusetts Department of Elementary and Secondary Education A growing number of authorizers (Denver Public Schools, Orleans Parish School Board, Colorado Charter Schools Institute, and others) leverage the new charter application process to address specific needs in their jurisdiction by articulating priorities. Authorizers with an interest in growing their portfolios with this approach will have the opportunity to learn about setting, announcing, and implementing priorities while gaining the necessary tools to align strategic priorities with high-quality authorizing practices. Rural Authorizing and Charter Schools with Indigenous Constituencies •Gina Post-Maine Charter School Commission •Phillip Gover-Sovereign Schools Project •K.C. Holder-Northern Michigan University Evaluating student outcomes and financial viability with small student counts can present challenges. Nevertheless, small, rural, and tribal charter schools are an important part of the education ecosystem and should be held accountable and supported in ways that may differ from large, urban charter schools. There is a growing need to understand how to authorize small, rural, and tribal charter schools and ensure that authorizers have the tools necessary to evaluate small, rural schools that might not be associated with a charter school network or that are founded by a group of parents or tribes. Authorizers and Funders: Partnerships to Support High-Quality Replication •Darryl Cobb-Charter School Growth Fund •Kristen Grimme-The Mind Trust •Heather Mauze-Texas Education Agency Authorizers know which schools are meeting their accountability bar, while funders and quarterbacks are searching for high-quality schools to replicate. How can these entities work together to provide more high-quality opportunities for our students? Charter School Growth Fund and The Mind Trust will present each organization's current thinking and discuss authorizer partnerships. Closing the Door: Tackling School Closure via Collaborative Planning and Partnerships •Amy Van Atten-Densmore-Central Michigan University Center for Charter Schools •Maria C. Montoya-Grand Valley State University Charter School Office In this workshop, attendees will discuss the toughest challenges authorizers face related to school closure (and/or transformation) work and how to tackle these problems via creative collaboration and partnership planning. There are ways authorizers can contribute to smoother processes for students, families, staff, and communities. Attendees will learn how to overcome these challenges, from planning for closure in the charter contract to formally reflecting at the conclusion of a closure. In doing so, authorizer teams can work more effectively and, more importantly, achieve great outcomes for the children, families, and the communities they serve. Transportation Policy and Choice •Thomas Lambert-Orleans Parish School Board •Caroline Roemer-Louisiana Association for Public Charter Schools For many, transportation is an equity issue. If students, especially low income and those with special needs, cannot get to a charter school, lack of transportation is a barrier that can shape the school's demographics. But for others, especially small charter school operators, it is a matter of autonomy and prioritizing limited funds. Should authorizers require schools to provide transportation? Key stakeholders from Louisiana will share how and why the state decided to require state-authorized charter schools to provide transportation in certain circumstances and lead a participant debate on this complicated issue. Participants will be able to identify the challenges and opportunities associated with requiring transportation plans and generate ideas for how they might tackle the problem for their own portfolio. Both a Science and an Art: Differentiating Your Renewal Process •Jennifer Saba-Chicago Public Schools •Paula Barney-Rhode Island Department of Education Many authorizers differentiate their renewal systems for a variety of reasons, including stagnant resources, a growing portfolio, and the administrative burden on schools. However, there are many factors to take into consideration when designing or updating a differentiated renewal system. During this session, attendees will think through the preconditions of a successful differentiated renewal system, explore and take home ideas for applying differentiation in their own context, and understand the risks and benefits of differentiation. Common Enrollment Systems •Mary Bradley-Chicago Public Schools •Sean Perkins-Orleans Parish School Board Common enrollment systems are complex models that require stakeholder buy-in, logistical and systems integration, and a high level of commitment to equity, access, and school choice. There are numerous considerations and factors that must be carefully structured in order to successfully implement a system that works for all students and families. With a focus on the stories of New Orleans and Chicago, attendees will learn about the processes, the challenges, and the successes of these unique experiences. Insights from Boundary Crossers Tom Hutton-Education Adjuncts, LLC Those who "cross boundaries” within the charter school sector and between the larger public education system may have unique experiences and perspectives about the work we do. Have you crossed boundaries among authorizers, charter schools, school districts, non-charter state agencies, universities, and other public education stakeholders? Come share your own insights and hear those of your colleagues in this informal and interactive discussion. University Authorizer Group Meetup KC Holder-Northern Michigan University Don Cooper-Grand Valley State University Join fellow leaders of higher education authorizers from around the nation for this informal session to build relationships, share best practices that advance our unique work in the charter sector, and make plans to meet up in 2019. Three’s Company: Clarifying the Authorizer’s Role with a Management Company •Carrie Gee-SUNY Charter School Institute •Elisa Westapher-NACSA A charter school board is contracting with a third-party CMO or EMO for school management services. What effect, if any, does this have on an authorizer’s approach to school approval and oversight? While the authorizer’s charter contract is with the charter school board, not the management company, the management company’s actions have a direct and substantial effect on the school’s overall performance. During this session, participants will explore the authorizer’s role in overseeing a charter school board with a third-party management company and learn how to oversee this structure in a way that balances autonomy with accountability. Effective Governance Oversight is Integral to Charter School Performance •Debbie Lister-Charter Board Partners •Jasmine Burditt-Indianapolis Mayor's Office of Education Innovation •Terry Croy Lewis-Colorado Charter School Institute •AJ DeLeon-Innovare-Social Innovation Partners The board's role is critical to the success and sustainability of a charter school, yet far too often authorizers lack the time or the tools to assess where boards are and what they need to better operate. Regular board checkups are much more effective at keeping schools high performing than dealing with board emergencies. Participants will gain an understanding of why governance oversight is important, hear real examples of how it works, and generate ideas for how to integrate oversight into their own work, no matter the authorizing context. How Can Authorizers Customize Expansion Applications? •Ryan Marks-Colorado Charter School Institute •Gregg Stevens-Georgia State Charter School Commission Carol Swann-Swann Educational Solutions •Sandi Brown-Colorado Early Colleges Authorizers should consider ways in which they are able to customize expansion applications to ensure that high-quality schools are able to expand the scope of their program. Customized expansion applications can help authorizers effectively evaluate the proposed expansion while minimizing the requirements for schools. Based on the scope of the proposed expansion, participants will explore what types of information and data an authorizer needs in order to make the best decision. Best Practices: Using Data to Inform School Closure Decisions •Alison Bagg-Massachusetts Department of Elementary and Secondary Education •Jeff Wasbes-SUNY Charter School Institute •Erin Kupferberg-D.C. Public Charter School Board Closing a school is one of the most difficult and politically challenge decisions an authorizer can face. This session will seek to shed light on how data can act as a resource for authorizers. Overcoming Barriers to Equitable Enrollment •Mary Bradley-Chicago Public Schools •Peng Chao-School District of Philadelphia •Katherine Dammann-D.C. Public Charter School Board What can and should authorizers and policy makers do to ensure equitable access to charter schools for all students, especially marginalized populations? In some cities, universal enrollment (UE) is a possible solution. What is the authorizer's role? UE is not always feasible, or necessary- we will also look at other ways authorizers are reducing barriers to access (such as common applications, transparent lotteries, lottery preferences, etc.) and discuss whether policy change is needed to address these issues. (DOUBLE BLOCK WORKSHOP) To Grow or Not to Grow? Determining Operator Readiness for Replication and Expansion (Old Title: Expansion vs. Replication) •Darryl Cobb-Charter School Growth Fund •Jim Ford-Replicating Quality Schools •Patrick Gavin- Nevada State Public Charter School Authority •David Greenberg- Audubon Center of the North Woods •Shenita Johnson- Illinois State Charter School Commission This 2.5-hour workshop will explore how the terms “expansion”, “replication” and “growth” have evolved theoretically and practically in the authorizer’s context of encouraging high perform schools and charter school networks to create more quality seats. Through a brief panel presentation, interactive case study analyses, whole group discussions, and expert facilitation, authorizers grappling with the following questions will have the opportunity to learn and apply strategies that encourage and guide high performing operators to grow responsibly and successfully. Authorizing Practices in Complex Organizations •David Frank-New York State Department of Education •Carol Swann-Swann Educational Solutions •Mary Bradley-Chicago Public Schools Do you find it challenging to move things forward in your organization? Is your authorizing shop situated within a larger organization in which you are dependent on the work of other teams? Do you have limited resources and significant limitations on how you can use the resources you do have? If you answered yes to any of these questions, this session was designed with you in mind. Three of your peers who have successfully navigated these challenges in the service of better outcomes for students will equip you with tools and strategies that will enable you to operate more effectively regardless of your organizational circumstances. Incorporating Mission-Driven Metrics into Accountability Systems Jim Griffin-Momentum Strategy and Research Alternative accountability? When that phrase comes to mind, do you think "Yes! One-size-fits-all accountability is ruining innovation in charter schools!" or do you think "Whoa! That’s going to lead to total chaos for the movement"? After exploring the pros and cons of different theories of action, participants will engage in a discussion on the thin line between flexibility and accountability. Authorizers will be leave with an understanding of the strengths and challenges of alternative accountability systems and measures. 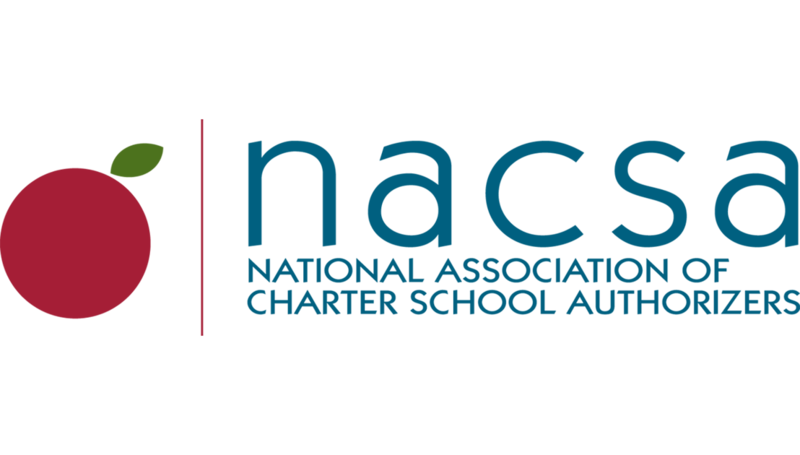 NACSA's Quality Practice Project: Focus on Commitment How Does Your Approach to Authorizing Mirror Your Expectations for Charter Schools? •Alyssa Hopkins-Massachusetts Department of Elementary and Secondary Education The charter school movement continues to evolve in an effort to provide as many children with access to an excellent education as possible. Massachusetts DESE would argue that if the charter school movement has changed, then so must authorizer practices with the goal of continuous improvement. Attendees will walk away with at least one strategy to promote performance improvement particularly within the application review process. Communications Jedi: Master Comms Tips and Tricks to Succeed as an Authorizer •Maria Montoya-Grand Valley State University •Tomeika Bowden-DC Public Charter School Board •Natalie Wilson-School District of Philadelphia •Kristen Forbriger-NACSA Many authorizers understand the importance of communications, but have no idea where to start. Three very different authorizers will share how any authorizer can be more proactive sharing stories about their schools (both good and bad). Don't have a budget or comms experience? Unsure of what messages to use? Have little buy in or control of your communications department? See community leaders spreading myths about charter schools around town? We have you covered. Attendees will leave with communications ideas and national message testing that they can incorporate into their work. * The Wednesday Splitsville Reception is offsite, in the heart of Disney Springs, and is a walkable distance from the conference venue. Dinner, drinks, and games are included at no additional cost to attendees. (WORKSHOP) Leading and Managing with Resiliency Kasey Miller, NACSA; Darlene Chambers, National Charter Schools Institute Do you find the work of authorizing to be smooth sailing where everything goes your way and the stress is minimal? We didn’t think so. Authorizing is a challenging profession that comes with an incredible amount of responsibility. Being effective in your role over the long haul and avoiding burn-out requires a tremendous amount of resiliency. Join us for this highly interactive workshop in which you will develop your personal vision for resilience, acquire tools and strategies for strengthening your resilience, and create a realistic plan of action for realizing your vision. (WORKSHOP) The Pixie Dust of Effective Teams: Vision, Culture, and Expectations Lisa Diaz (Insignia Partners) Being the leader isn't easy. We are short on time and pulled in different directions. We often aren't as effective as we would like when it comes to establishing shared vision and outlining expectations with our team. We end up frustrated and annoyed and, let’s admit it, with team members who feel the same. Here’s the thing: it doesn't have to be this way. This workshop will help attendees identify ways to develop a team that has shared focus, clarity around expectations, and a culture that leads to effective, efficient, and happier team members.